The Toxicologist Today: What about the toxicology of burning bay leaf wood as a source of fuel? "I would like to pose a question of a different focus regarding bay leaf. Your article, questions and comments all focus on the leaf. But what about the toxicology of burning bay leaf wood as a source of fuel? The burning of certain tree woods are more toxic than others. One specie of tree, for example, is so toxic that the inhalation, ingestion or touch poses a health risk." Incredibly juicy this question!!! Had I some more free time and I'd be researching this topic like a mole on steroids, but my work has forced me to look very briefly into it. TheRegulator could have helped by stating exactly the name of the species that is known to release extremely toxic fumes when burned. But I did not quit and I found it. Polyciclic aromatic hydrocarbons (PAHs) - molecules present in Laurus Nobilis leaves that have been utilised as indicators of air pollution in Tuscany (for example). The mean PAH foliar levels in laurel leaves are well correlated with PAH air concentration , thus providing a good estimate of the PAHs respiratory burden. But this did not provide me with the necessary information. I was inclined to believe that any toxicity derived from burning bay leaf wood would have to do with the combustion of the oils/volatile compounds found in its composition. But apart from L. Nobilis' antibacterial and fungicidal properties  I could not find any information pointing to toxicity of combustion fumes. In fact, Laurus Nobilis is my favourite bronchopulmonary disinfectant. 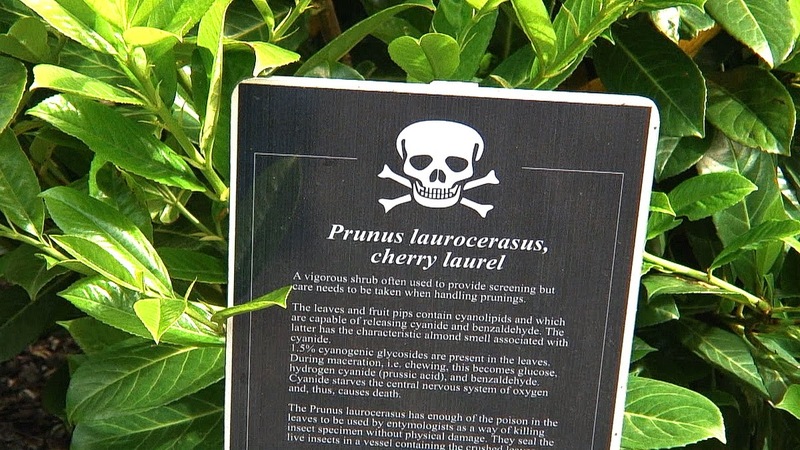 A less lethal species, the Cherry Laurel - Prunus laurocerasus can also be seen as incredibly dangerous if combusted as it contain cyanolipids that release cyanide and benzaldehyde (toxic agents). 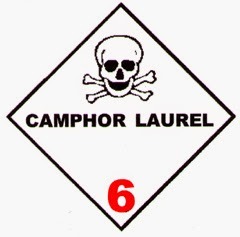 Combustion fumes from Camphor laurel wood = Extremely dangerous, especially if you're in Australia! Combustion fumes from Laurus Nobilis wood = Unlikely to cause any harm if handled properly, but it is better to avoid exaggeration. Lodovici, M., Akpan, V., Casalini, C., Zappa, C., Dolara, P. (1998). "Polyciclic aromatic hydrocarbons in Laurus Nobilis leaves as a measure of air pollution in urban and rural sites of Tuscany". Chemosphere, 36(8), pp.1703-1712. Bay Laurel, Laurus Nobilis, leaves, [http://quickbooker.org/kunden/wildherbsofcrete_com/pages/portraits-of-our-essential-oils-from-wild-herbs-of-crete/laurus-nobilis.php], last visited on the 21st of January 2015, last update unknown. Camphor Laurel - NSW Scientific Committee - final determination, [http://www.environment.nsw.gov.au/determinations/camphorlaurelktp.htm], last visited on the 21st of January 2015, last update on the 28th of February 2011. The MAK collection for Occupational Health and Safety, Benzaldehyde, [http://onlinelibrary.wiley.com/doi/10.1002/3527600418.mb10052e0017/pdf], last visited on the 21st of January 2015, last updated on the 15th of october 1998. 1st image kindly taken from frametoframe, [http://frametoframe.ca/2013/10/poison-garden-blarney-castle-ireland/]. 2md image taken from Camphor Laurel Menace, [http://www.camphorlaurel.com.au/]. We had a large amount of Laurus Nobilis removed from our garden and I kept behind a large bucket of chippings with a view to burning it on a BBQ to add flavour to the food. I have been concerned about the potential dangers though which is why I ended up here. What do you think - would you avoid burning it under food? What can I personally tell you Mark that is derived from practical experience? Nothing! What I can tell you is that from what I've obtained in the literature, there isn't much danger associated to combustion of Laurus nobilis as far as I know, but exaggeration can be an issue. Even when there is no known danger linked to something, I always try to follow the basic rule of common sense, thus giving it a try with a few chippings and see how that operates on both flavour and your system. But all this is anecdotical and you will make it empirical on your own expenses. Just be sure that what you are burning is actually L. nobilis rather than Prunus or Camphor as mentioned in the post. Personally, I am not a big fan of eating the direct products of a combustion, as you'd be ingesting the burned metabolites of volatile compounds, I'd rather prepare an infusion with the leaves and spray the meat or veg with it. I wouldn't be too happy eating secondary products of organic volatile compounds. Whatever you decide to do just report back to us so we can learn from your experience, but mind your safety first. Cheers and thanks for visiting the blog. Thank you for sharing such wonderful information! Keep a healthy life by consuming healthy food and doing exercise regularly is the best healthy formula.